If you want something bad enough you will find the time to pursue it. It may take time to figure out how, but if you do not try then you never will. If you never do it you will always wonder why and regret it. The link below has an article that talks about her book and the other 4 top regrets. It is pretty eye opening and really makes you think about what is important to you today. 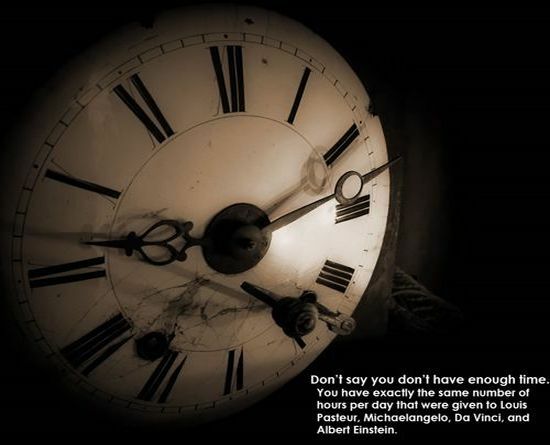 Time is so valuable you cannot put a price on it. Reblogged this on Organization Behaviour and Change. I think the aspect on her list that i have resolved to change is that of having the courage to express my feelings rather than holding back in order to protect others. Hi Elizabeth, I am looking forward to reading her book. It sounds so interesting and informative. I am hoping to get to the point where I see any regrets as life lessons and not carry them to my death bed. Hello Tina, Thanks for sharing a thought-provoking blog. Actually, I found it quite comforting. I don’t hold those regrets. Yes, some things could have turned out better or different. But what I have learned is this: We all have choices. It’s up to us to make them. I suspect people with regrets don’t make their choices. They just allow things happen. What do you think? Finally, I’d like to share a post I wrote I while ago: Stop Regretting Decisions. Thank you for stopping by and also sharing your post with us. I also found Bonnie’s work very interesting and thought provoking. As I said, we need to continually be moving forward and not carry regrets with us. Thank you for sharing this post Ramakrishnan!